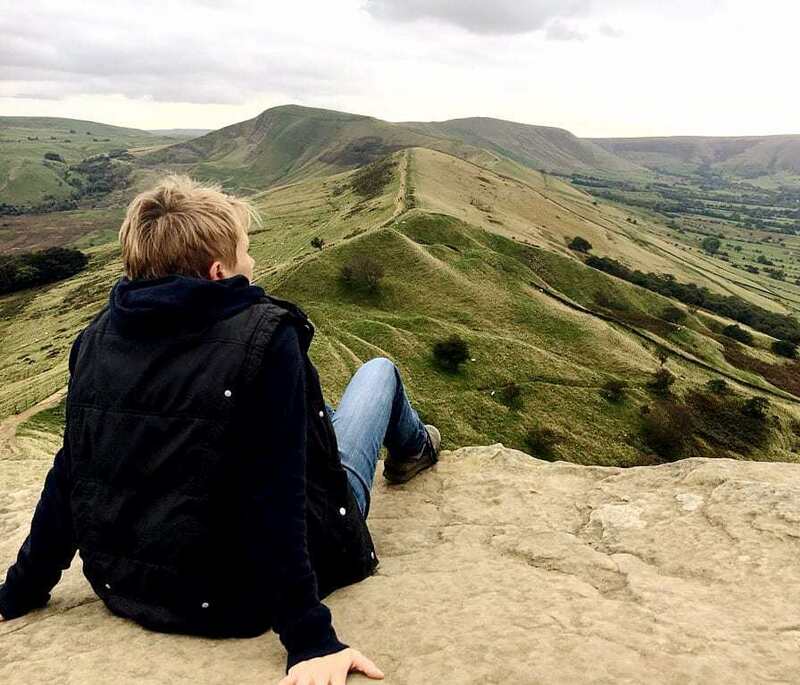 This circular walk takes you to the top of the magnificent Minninglow Hill, an ancient and mysterious landmark. Minninglow Hill is the site of a collection of Neolithic tombs, dating from around 3,000BC. The tombs are still very evident, scattered around a later circular mound constructed in the Bronze Age. 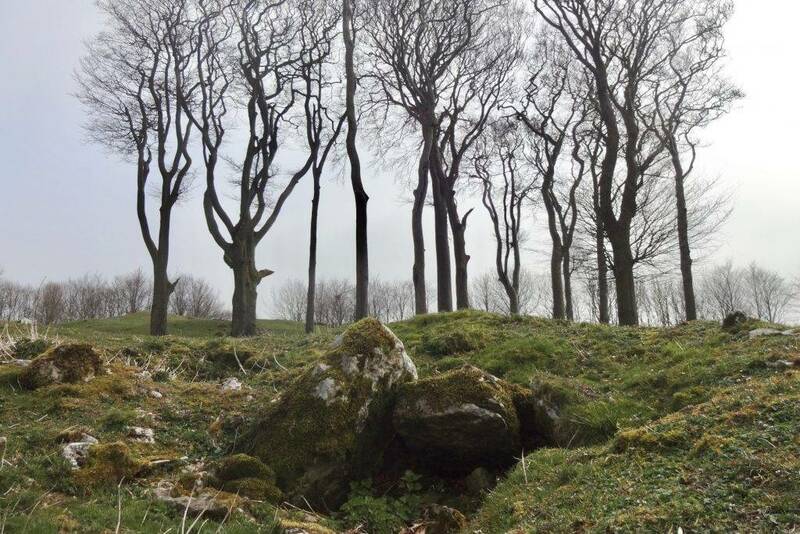 The whole site is now crowned by a group of tall beech trees and encircled by a further outer ring of younger beech trees, creating a distinctive shape that is recognisable from many points throughout the White Peak. There are magnificent views all the way along this walk. This is a walk of 3 miles. 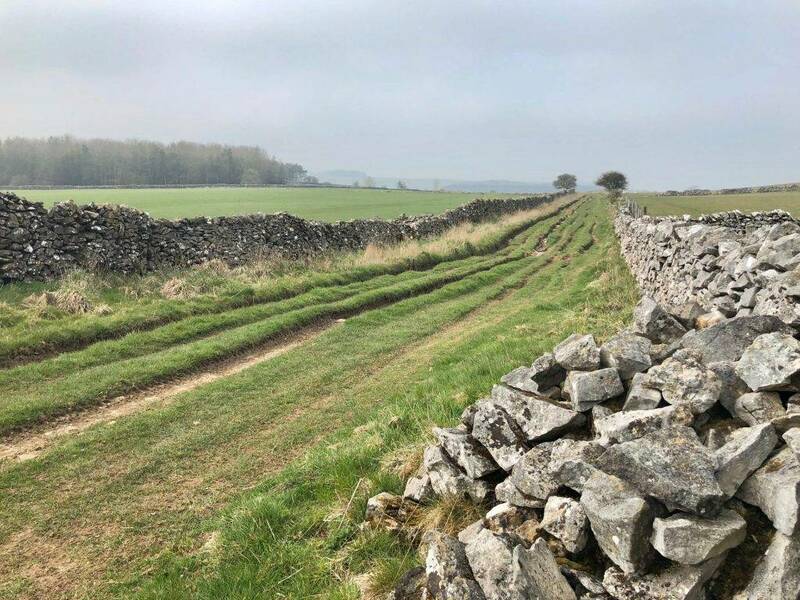 It starts off on the High Peak Trail and crosses impressive embankments constructed in the 1830s when the trail was part of the line for the Cromford and High Peak Railway. 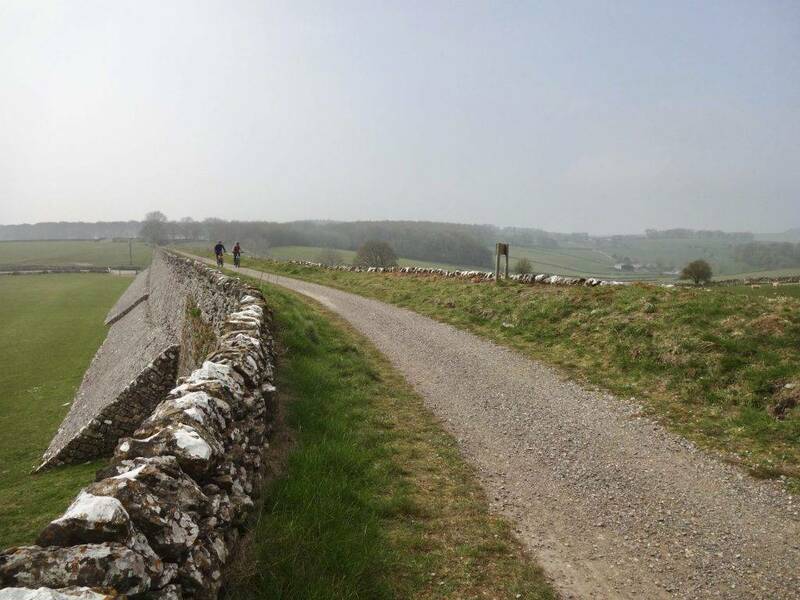 The terrain is easy and quite flat, apart from the climb up to and down from Minninglow Hill. There are gates but no stiles. The walk starts and ends at a free public car park. Allow 1-2 hours to complete this walk at a moderate pace, allowing for rest stops to appreciate the sights. 1. The walk starts from the Minninglow car park on the High Peak Trail (SK19476, DE4 2PN). 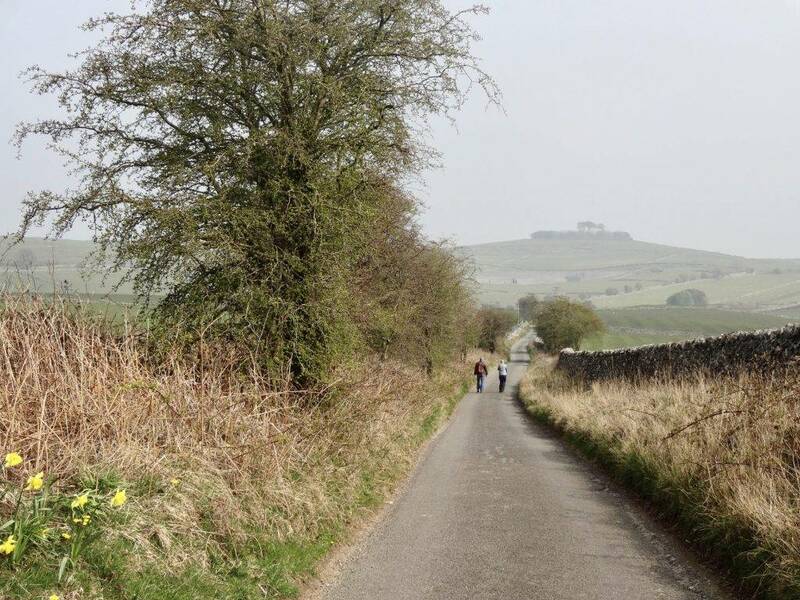 From the car park walk in an easterly direction, crossing over a narrow lane and joining the High Peak Trail heading towards Minninglow Hill. The path immediately crosses over fields on a high embankment. This was constructed in the 1830s when the High Peak Trail was the Cromford and High Peak Railway line. 2. Follow the High Peak Trail into a cutting with high walls on either side. Soon after, you will see an old crane on the left hand side at a disused quarry site. 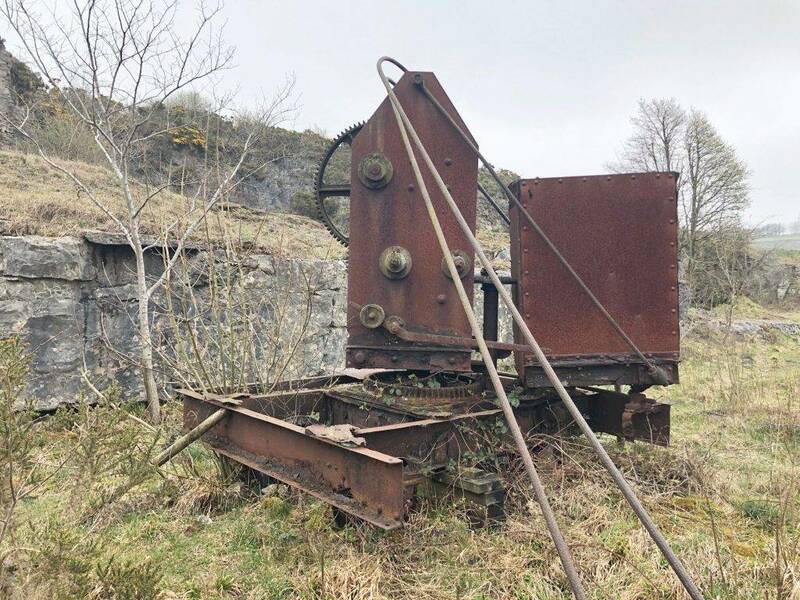 The crane would once have been used to take the limestone from the quarry on to the trains running on the railway line. 3. 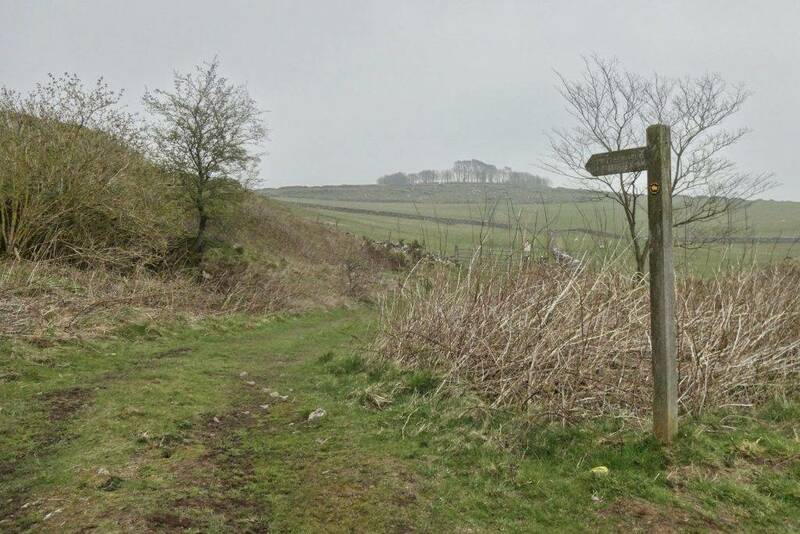 Very soon after the crane, look out for a concessionary path on the left hand side signed to Minninglow. You will see the distinctive double ring of trees on top of the hill ahead of you. Walk through a gate and straight up the hill towards the ancient site, negotiating the slabs of limestone that litter the hillside as you ascend. 4. Enter the woodland of Minninglow Hill through the obvious gate ahead of you. Take the time to explore and appreciate this mysterious, ancient site with its 5,000 year old tombs. 5. Leaving Minninglow on the opposite side of the woodland from which you entered, through another gate on a concessionary path. Follow the signs down the hill, bearing to the right across the fields. When you reach a green lane, turn right and follow the lane, with the trees of Minninglow to your right. 6. You will soon come to a crossroads junction with the High Peak Trail, but continue straight over on the green lane, through a wide gate, signed to Biggin. Make sure you look behind you to admire Minninglow on the hill as you walk along this pretty lane. Continue on the lane past a farm and a succession of fishing ponds, carrying straight on as its surface becomes metalled. 7. When you reach a crossroads with a road, turn right. There is a pretty wood to the left. Follow this quiet road back to reach the car park and your starting point on the left hand side.